I haven’t been to Portobello Road markets in years. I went to Notting Hill Carnival in August, but obviously that is a very different experience! I took a Friday off work recently and wandered around the stalls and shops of the Road with my mum, perusing vintage clothing, finding bargain jewellery, and getting overexcited about haberdashery. There’s fashion, food and furniture and so many friendly stall owners who are happy to chat with you, and let you try and haggle a good price! 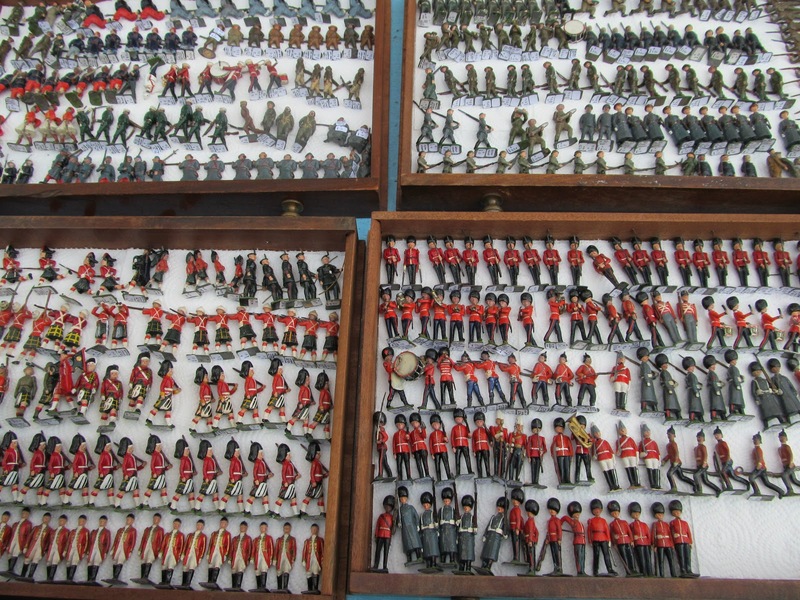 Some of these tin soldiers are from the 1800s! I really want to discover some more of London’s markets, but many have their best stuff available during the week when I work. Let me know of any good weekend markets you recommend!